Over hardpack trails and serrated ridgelines, springtime’s ever changing moods can’t keep you from grinning. 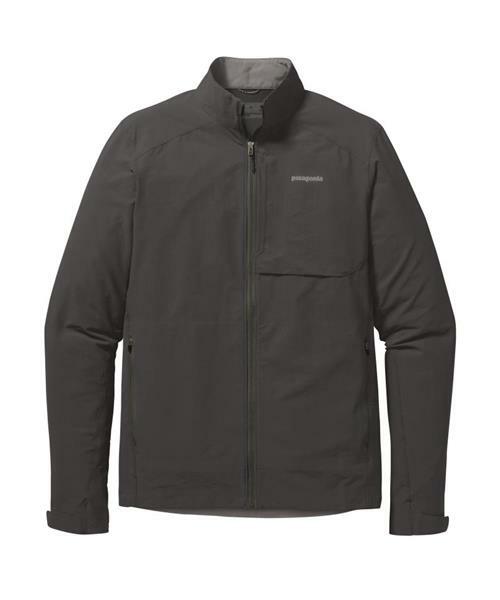 Patagonia's new Dirt Craft Jacket deflects those fussy, seasonal squalls while remaining light, tough, stretchy and breathable. The 95% nylon/5% spandex ripstop soft shell fabric also provides wind resistance and sheds light moisture with its DWR (durable water repellent) finish. Zippers close the two hand pockets and the concealed chest pocket, while Hook-and-loop tabs adjust the cuffs. With a single-pull hem and a drop tail for added coverage when cycling. Fabric is bluesign® approved.